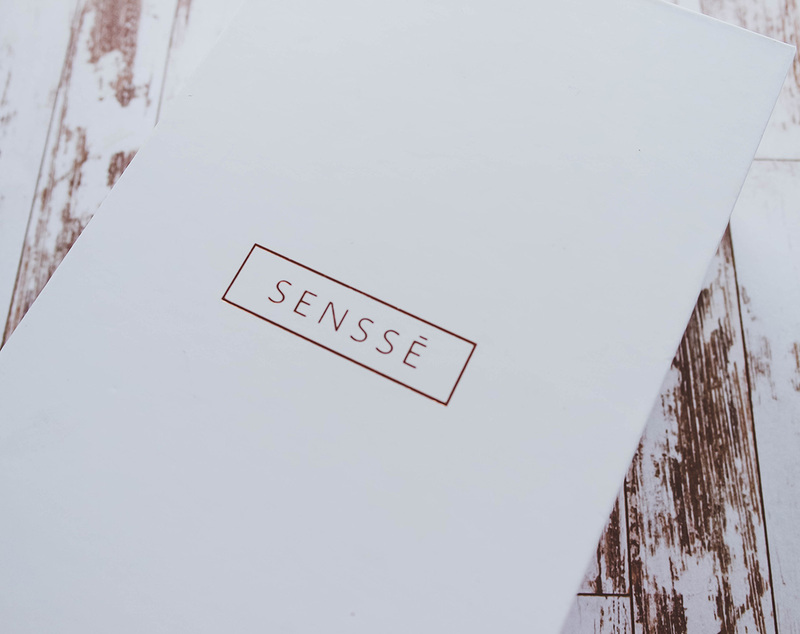 When I first read about the SENSSE Silicone Facial Cleansing Brush I wasn’t sure what to expect. I’d previously used the “brush” style devices, but this looked completely different. 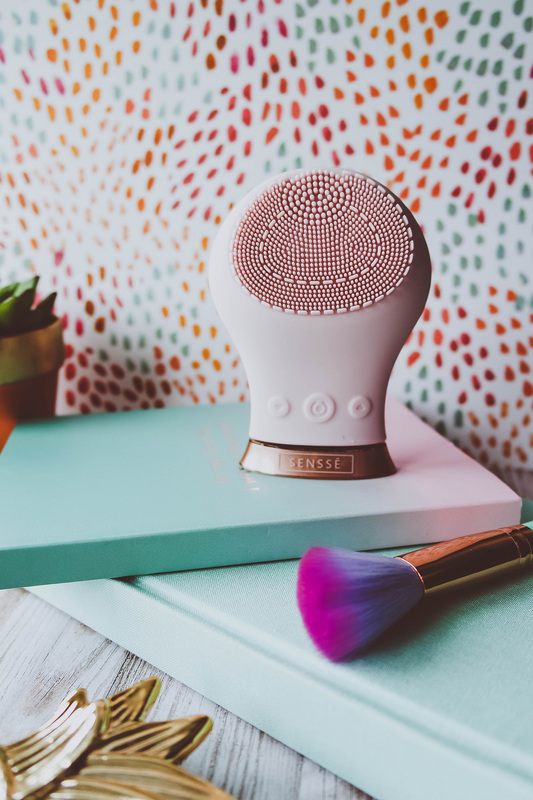 “A smart cleansing brush that combines thorough cleansing and anti-ageing in one device. Anything that says it provides a deep cleanse and helps with anti-aging gets a big thumbs up from me, so I decided to give it a whirl. When I first saw the box, I was initially impressed by the packaging. Simple, sleek and clean. I opened the box to find that the product was more of the same, although it was much smaller than I had thought. There was only one big issue with the product packaging…. the god awful storage bag! It doesn’t need it. Everything else is so well designed and clean, and this was well, just tacky and a bit pointless. 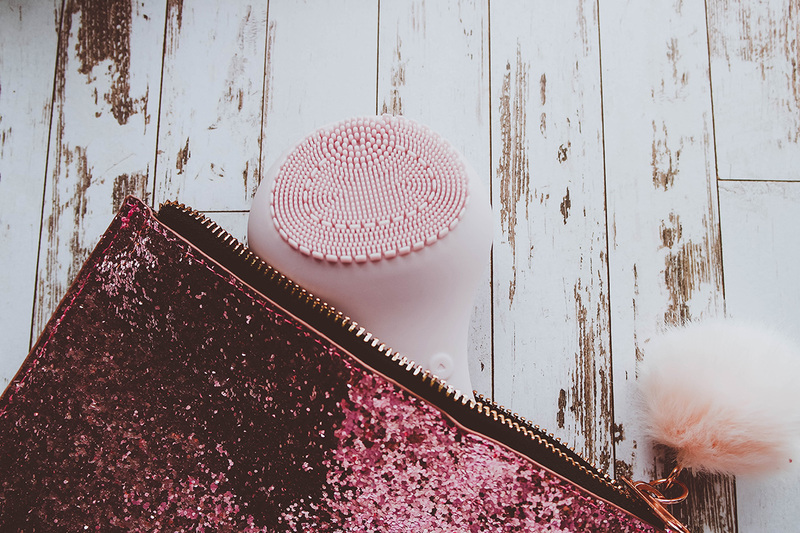 A big furry pom pom and a bag that sheds glitter everywhere have no place in my bathroom! Mine went straight back in the box, out of sight out of mind. On picking it up I soon realised that the shape was perfect. It was pretty much palm-sized and easy to handle so I took it out for its first try (luckily it came pre-charged as I’m pretty impatient with things like this!). Starting with my daily cleanser, Estee Lauder’s Perfectly Clean Multi-Action Foam Cleanser, I started with the bristle side first, massaging the cleanser into my damp skin. I had expected it to be “rougher” but the silicone bristles were light and gentle on my skin, even on the strongest setting, and the vibration to tell you when to change sides and position was very handy. Now I’ll admit now that I made a slight mistake when using the reverse side, I think I misread the instructions. You’re supposed to dry off and apply moisturiser before using the reverse, but for the first try, I continued with the cleanser, oops! This second side was initially a little strange. As I moved it around it made an odd “crackling sound” it made me a little nervous at first but nothing seemed amiss and I continued, a little puzzled but intrigued. Once done a simple rinse off of the device and I was done! 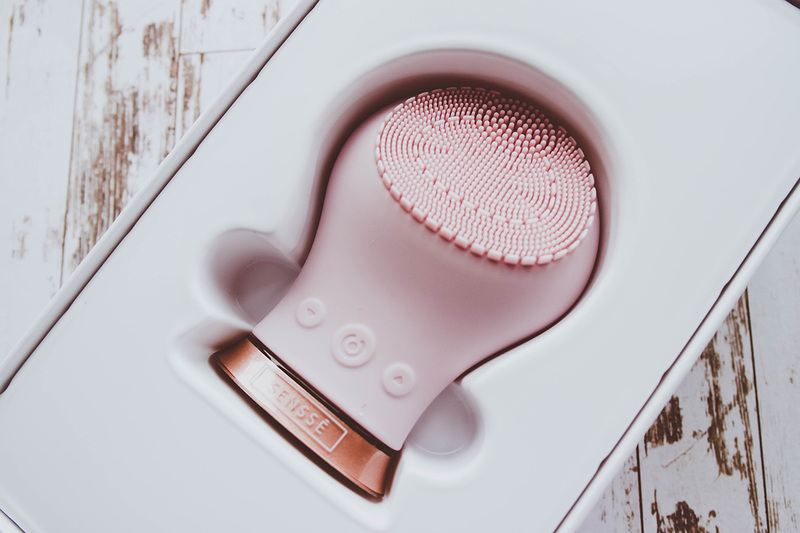 I decided to use the cleansing brush for a total of 6 weeks (I was advised to try it for at least a few to see any results) to give me chance to see any noticeable differences in my skin. Overall I liked the device, it was easy to integrate into my routine and very easy to store and clean. So far I’ve only had to charge it once so it certainly carries a good charge. It was easy getting into the habit of using this each night before bed and I even got used to the odd crackling. I like to think it’s the sound of my wrinkles magically being “zapped” away, wishful thinking on my part I know! I can honestly say that my skin felt cleaner after use, even though sometimes it was a little red. However it hasn’t made any difference to my skintone or wrinkles, which is a little disappointing. I wasn’t expecting my wrinkles to disappear, not by a long shot, it’s not magic! but I was expecting my skin to look, well cleaner, it certainly felt it if nothing else. I’m going to start using it with my Drops of Youth Concentrate to see if that makes a difference. Despite the lack of visible differences I will continue to use the product. It really does leave my skin feeling very clean and fresh. thanks! yes I bet I’m in the minority regarding the bag ? I really need to overhaul my skincare routine right now and include something like this – I’ve noticed some pesky wrinkles popping up, so it’s definitely time to start on the anti-ageing hype! Although I can understand you feel disappointed at the lack of difference! I love that you’ve written a six weeks later part of this post too to give a real insight as to whether or not it does work – I see so many beauty reviews where the blogger has used the product once and gives a full review, so its so helpful to understand what a long-term difference makes! thanks Kate, I’m starting to really enjoy taking the photos for the blog ? I’ve heard so much about this product!! I love that you included an update after 6 weeks as then we get to see if it actually does a good job! I think with something like this isn’t important, how can you possibly know if it’s any good after only a few uses, especially considering what it claims. 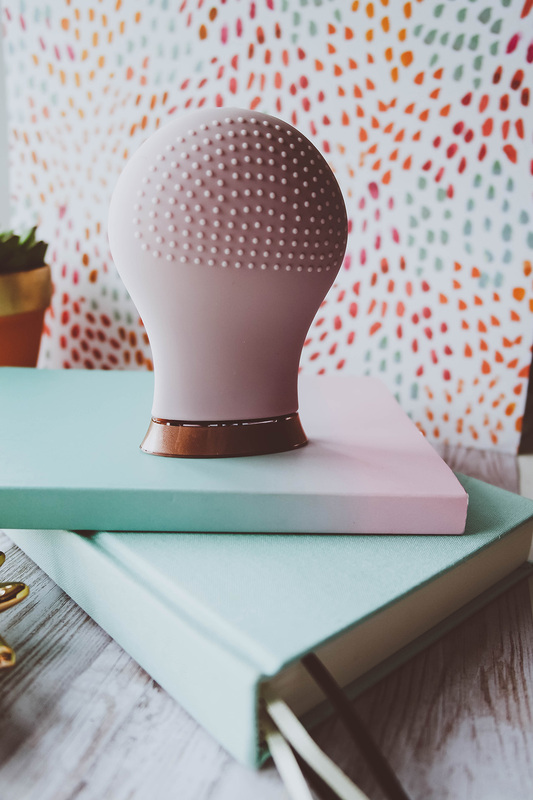 I have this device and absolutely swear by it! It’s completely changed the way I do my skincare. I think my skin is so much clearer after using this and I love that it’s gentle enough for sensitive skin. I actually love the glittery bag and pom pom but then again I’m a girlie girl so that’s no surprise! Great review! ahh I’m glad someone else loves it too! exactly, I’d take clean if wrinkle free isn’t an option any day ? I’ve heard so much about this product, I am going to have to give it a try!